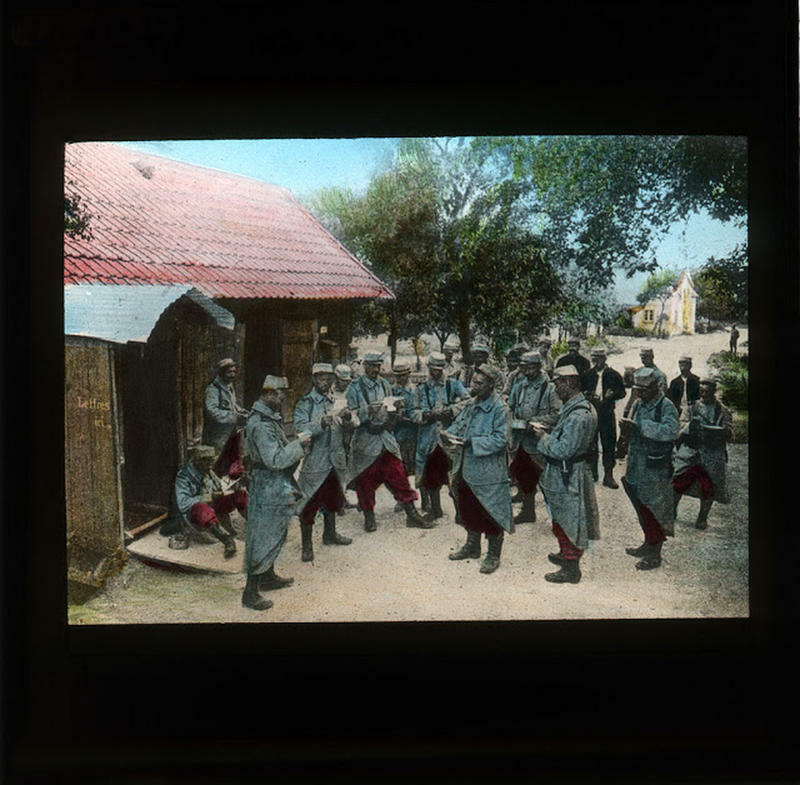 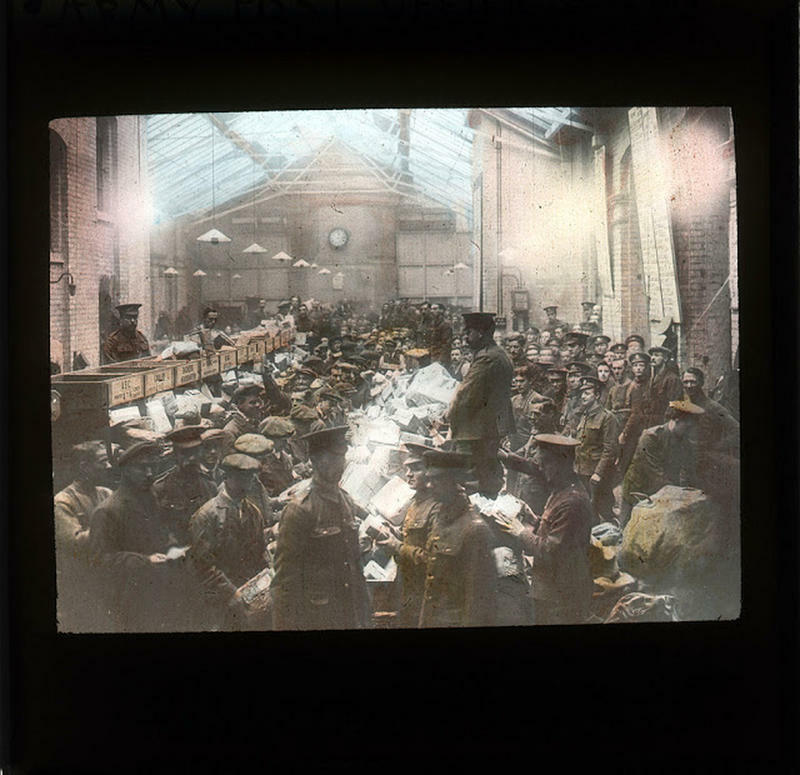 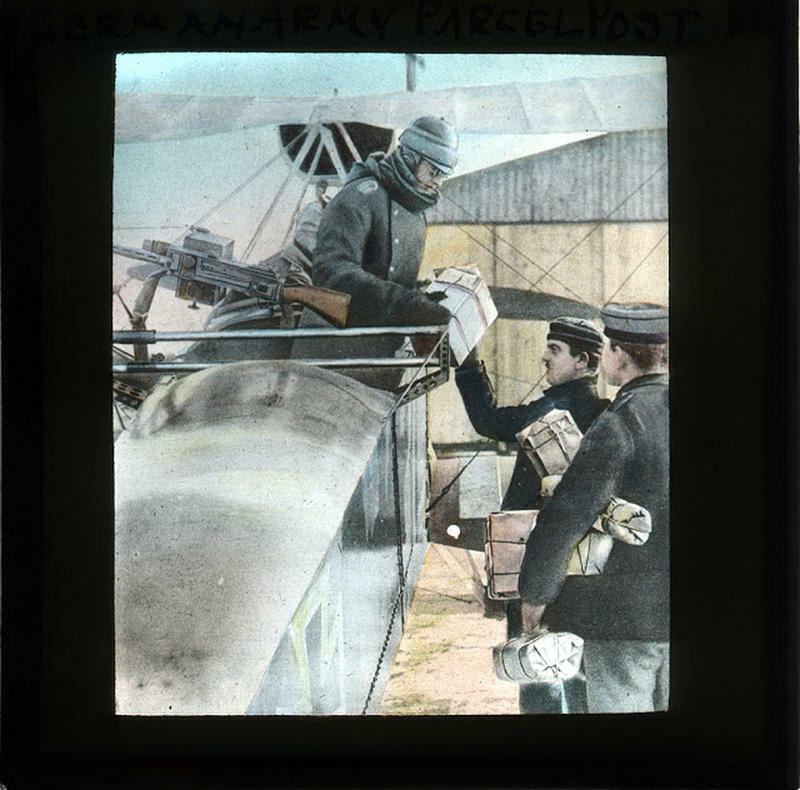 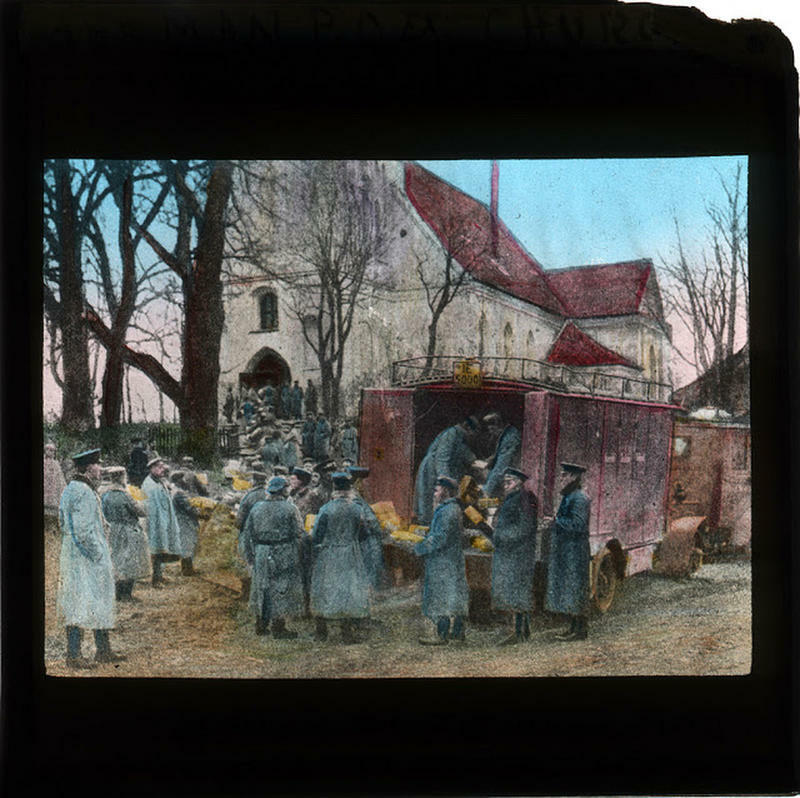 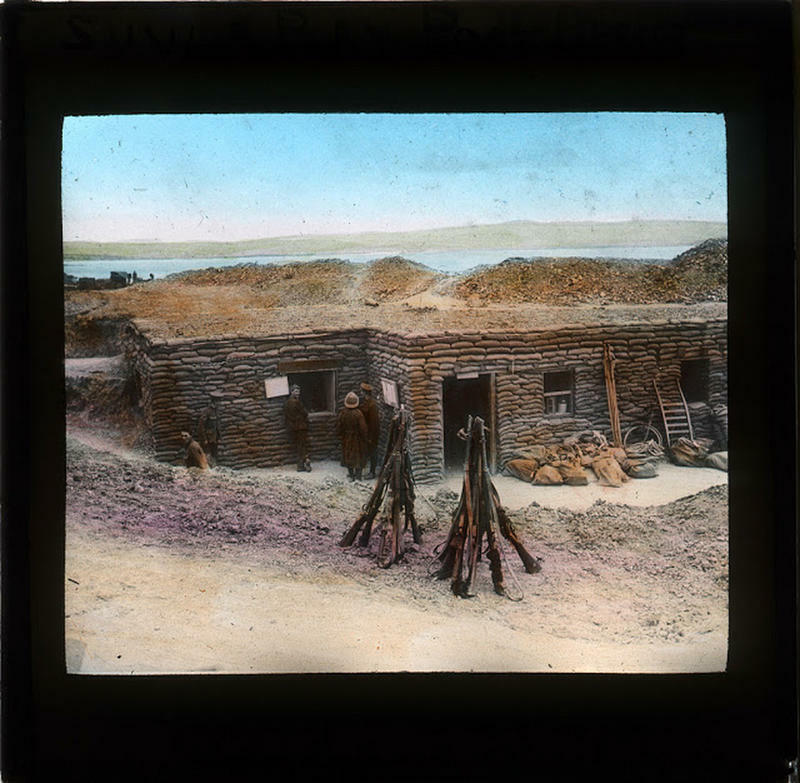 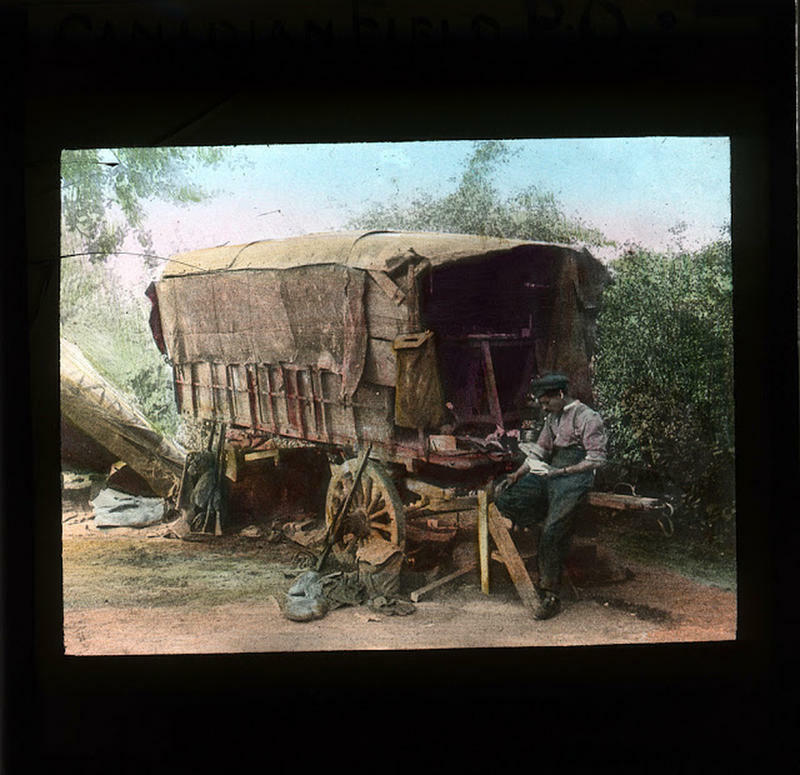 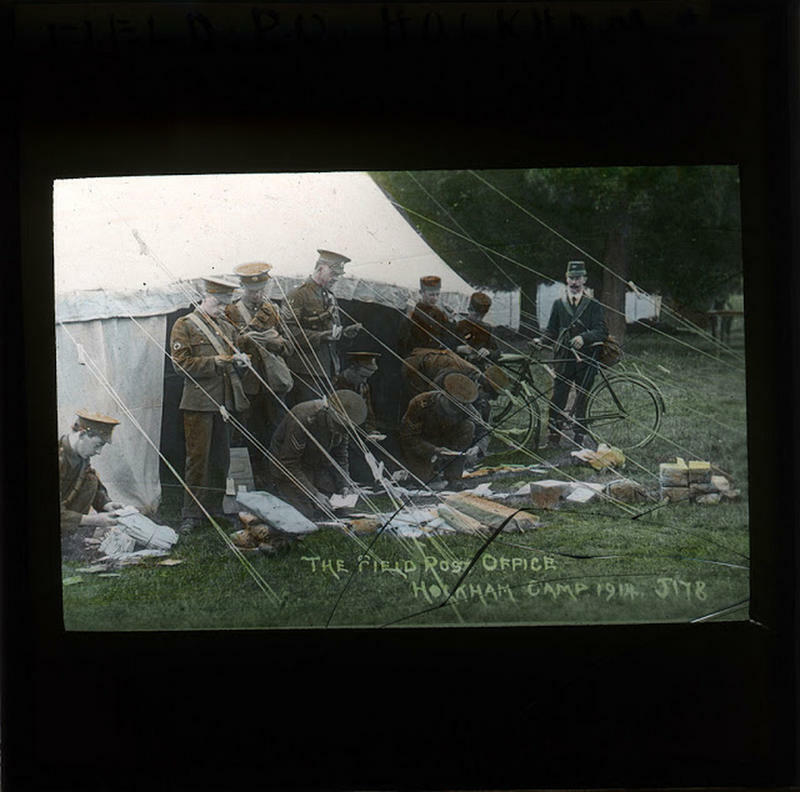 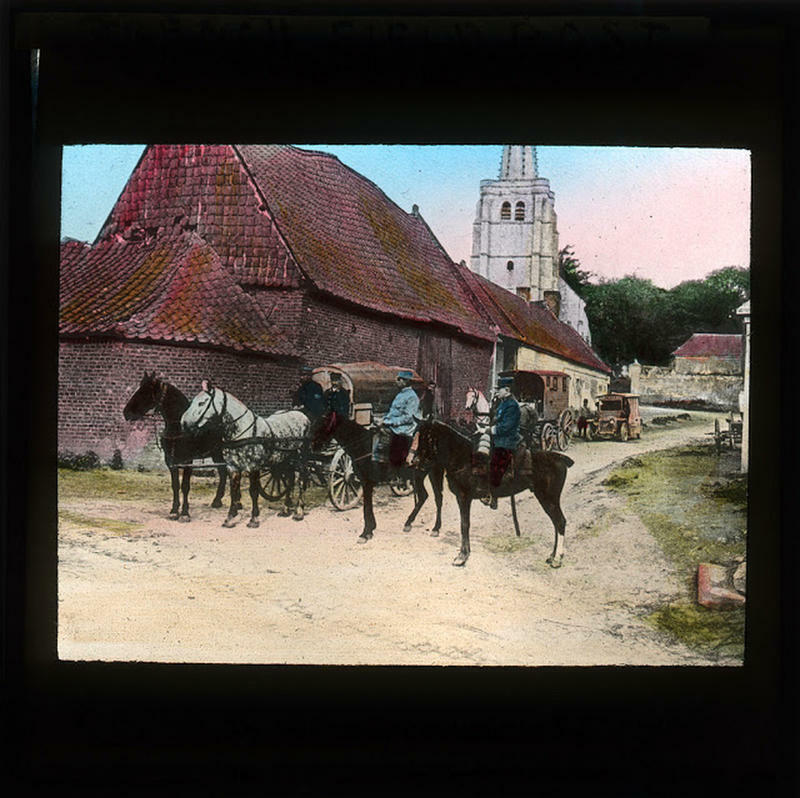 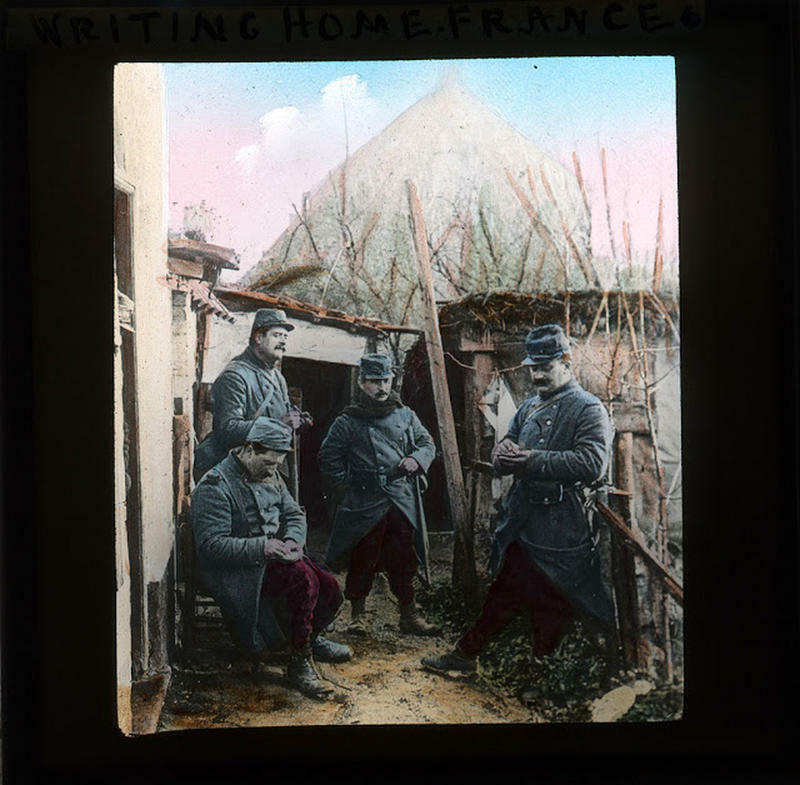 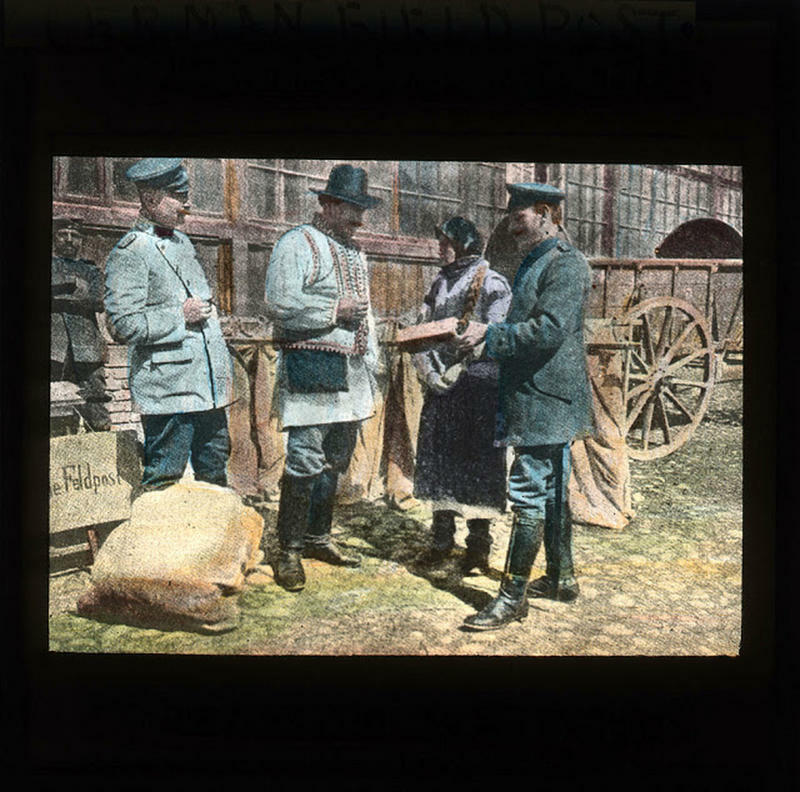 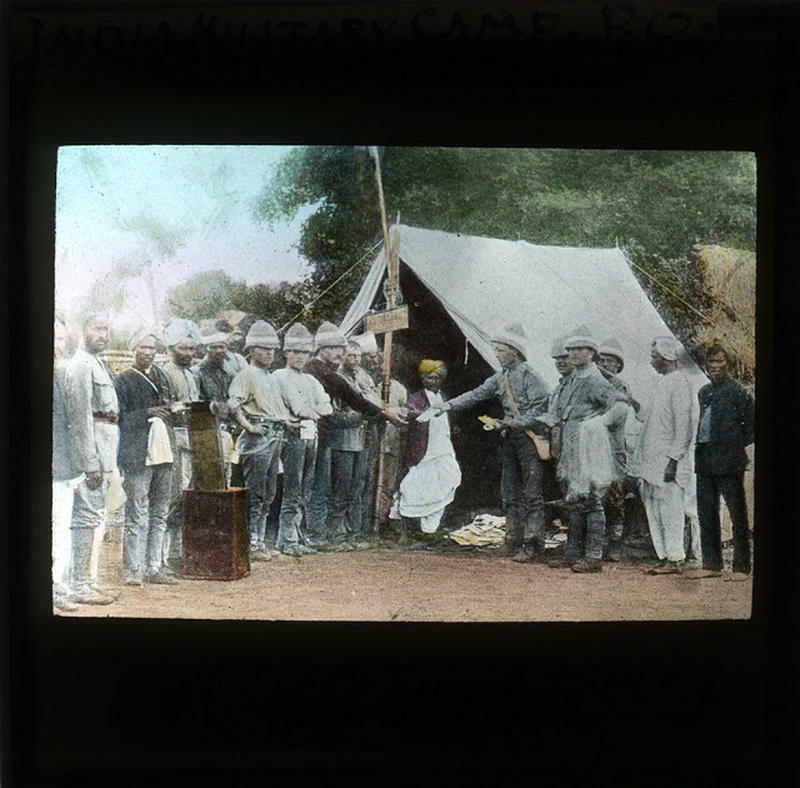 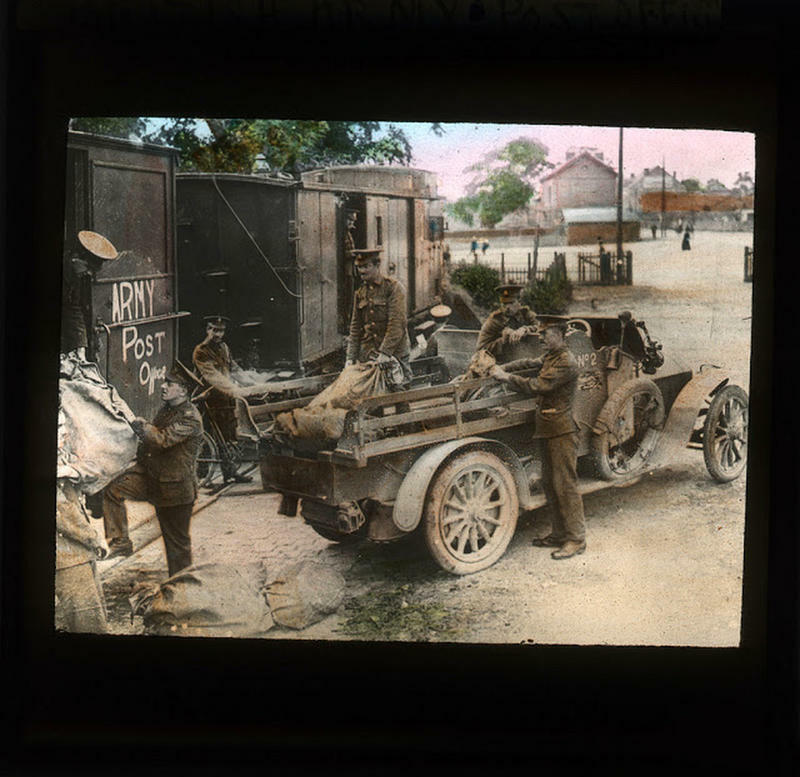 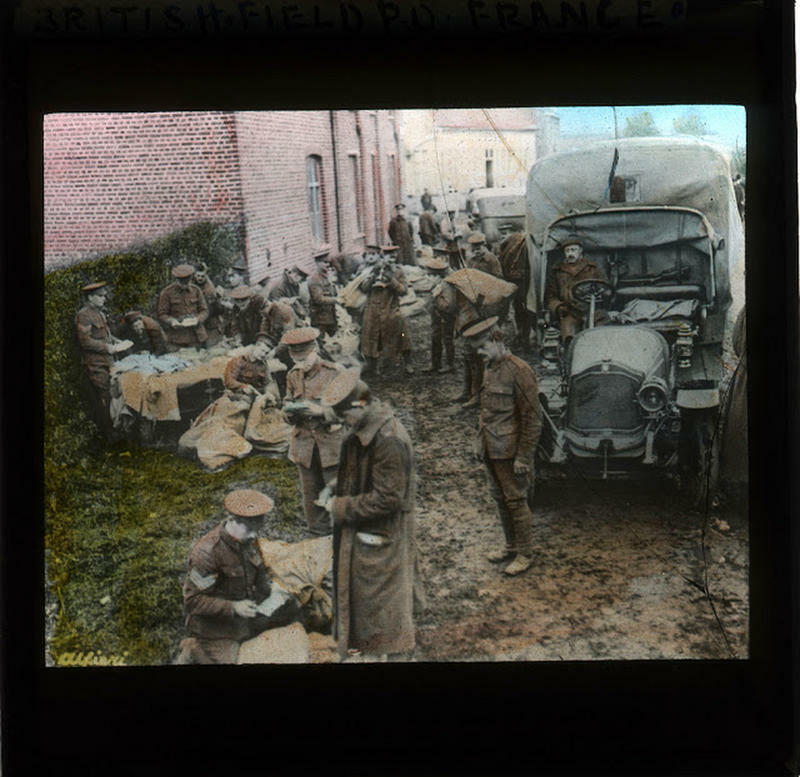 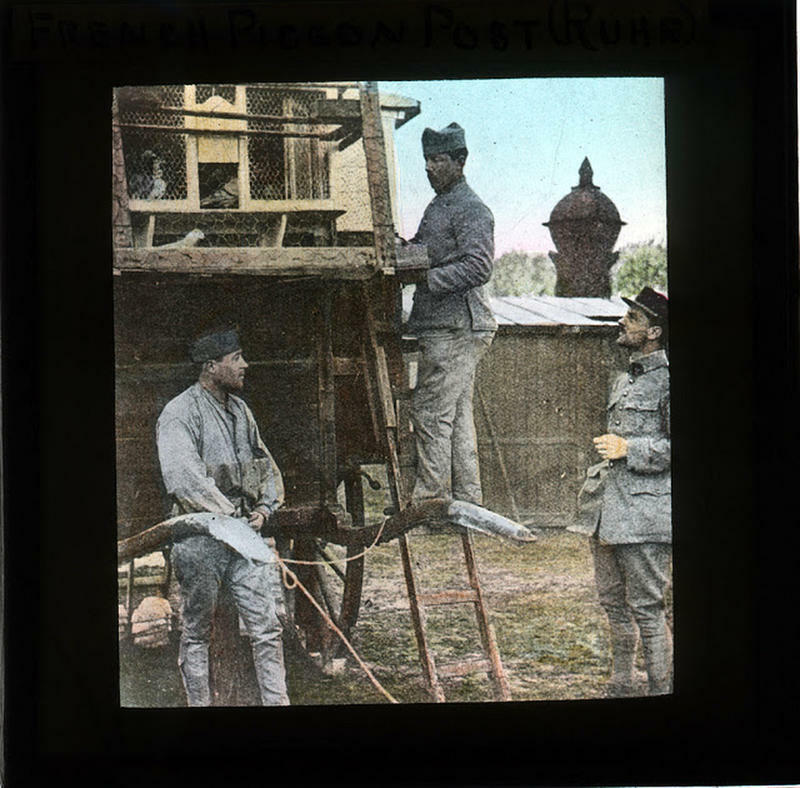 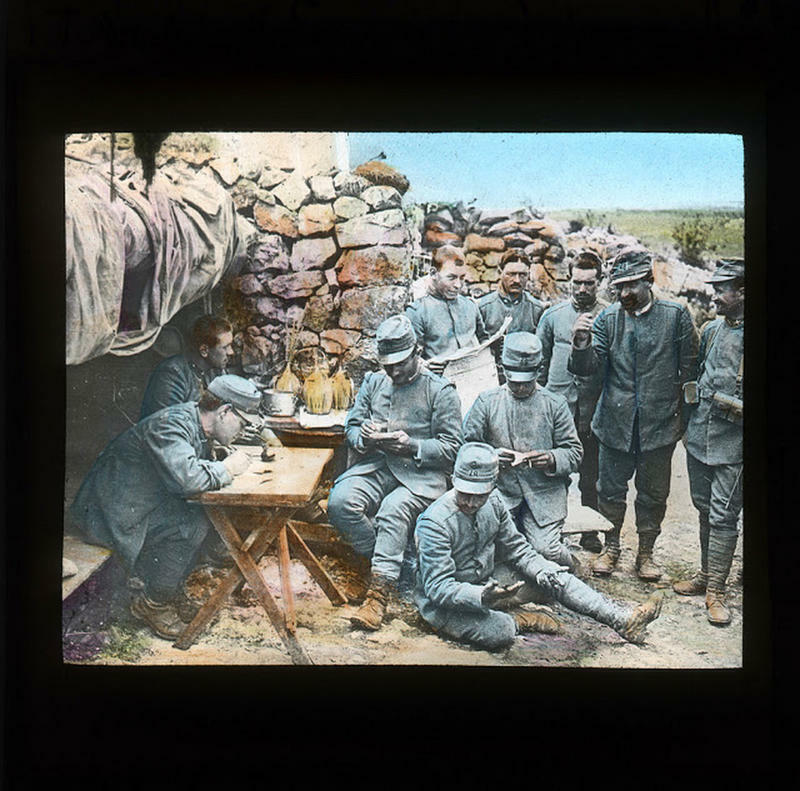 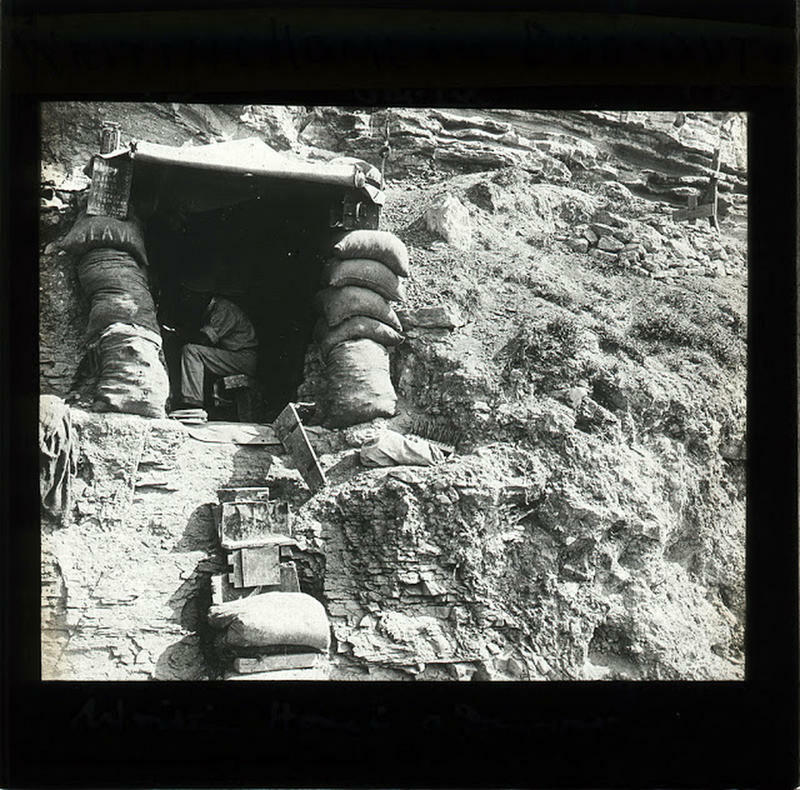 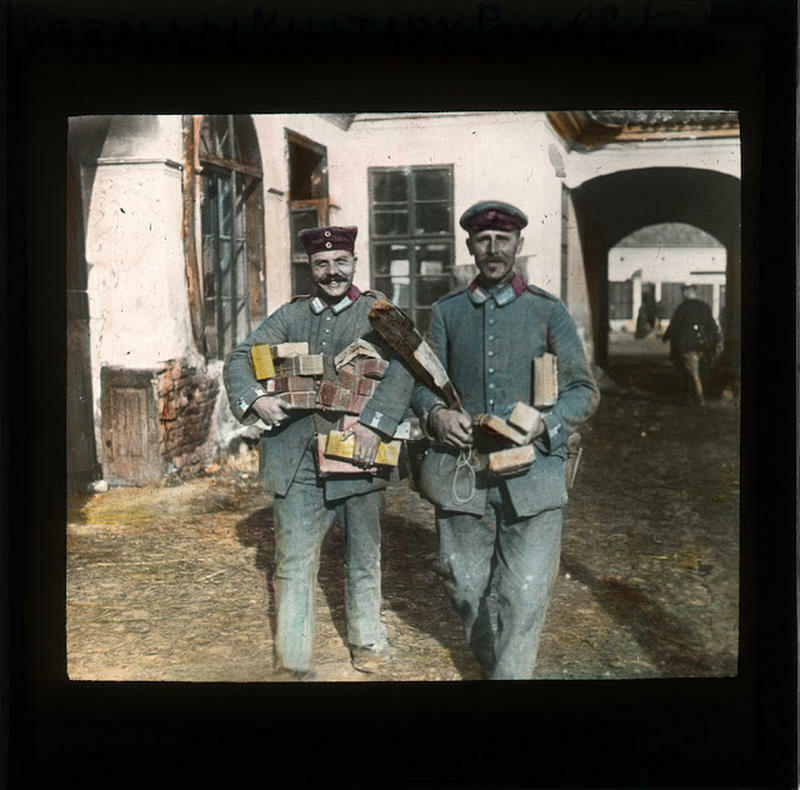 Here is a gallery of lantern slides from The Postal Museum depicting postal operations for different nationalities at the time of World War One. 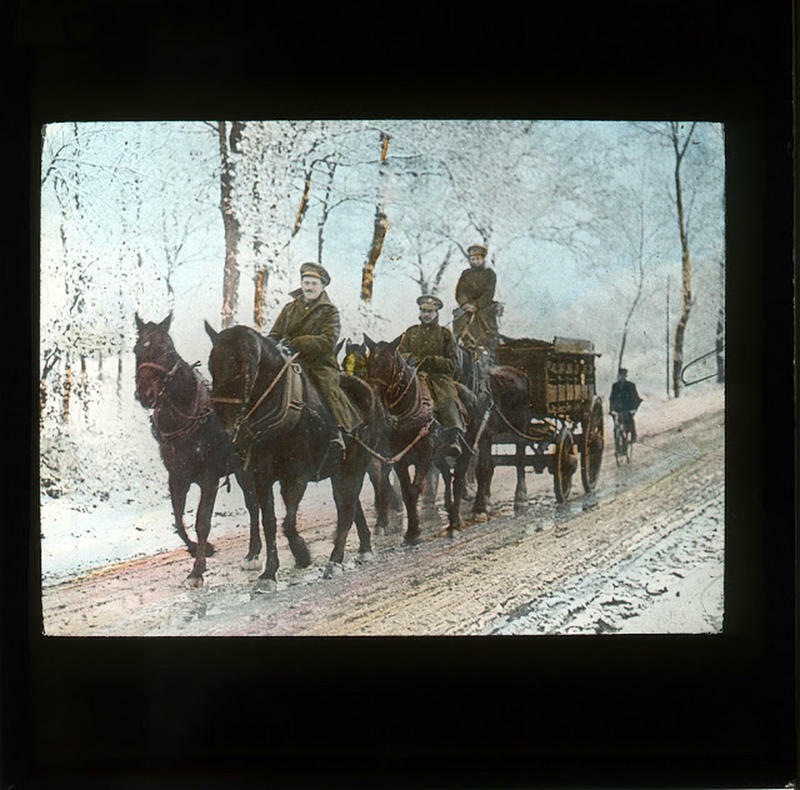 Nearly all of these pictures were hand-colored. 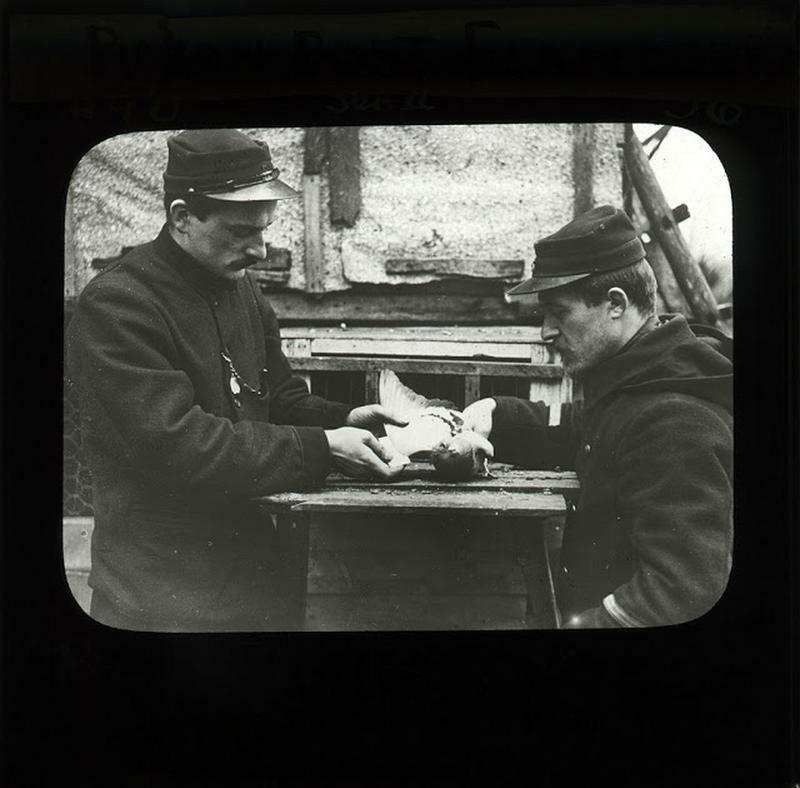 Handwritten captions in black ink are also on labels above the images shown below the slides.